In the first part we created an app that allowed us to test ourselves with question/answer pairs stored in a property list. This works great if we prefer to create a separate app for each of our tests which results in a separate icon for each on our desktops. 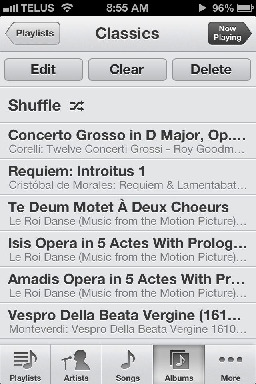 But to save space we may want to embed multiple tests within a single app. This is what we will try to implement in this section. In our initial test app the concept of a view controller was relatively meaningless to us. We created what was called a Single View application and everything seemed to take care of itself with regards to screen management (we actually only used one view controller). We could focus on implementing the functionality of our app and all that we knew about view controllers was that viewcontroller was part of the name of the .h and .m files that we added our code to. But what happens when we want to, out of necessity, use multiple screens? This requires us to implement a separate view controller for each of our screens. We will also need the ability to navigate between our screens - something we didn't need to worry about before. In this section the test itself will no longer be our main screen. We will add something called a table view to be our main screen. 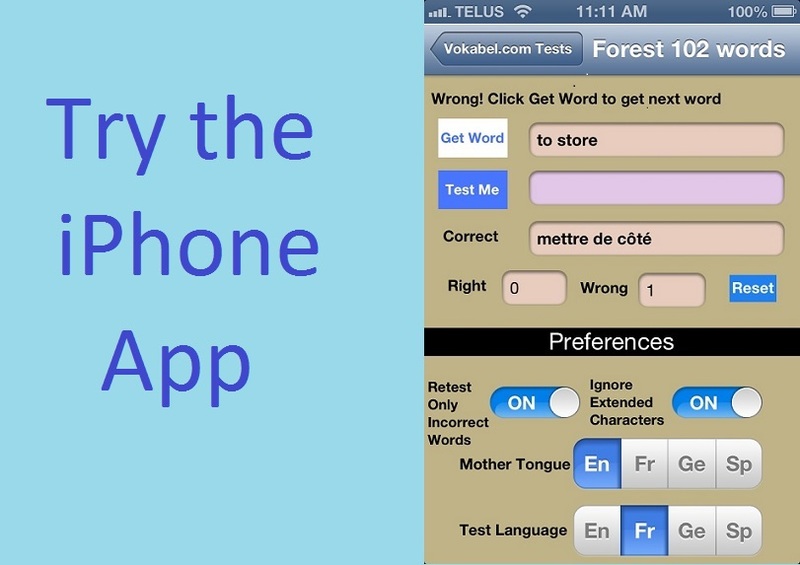 You may already be familiar with table views if you are a regular iphone user because they are used to display a list of items that we can select in apps such as contacts or music. 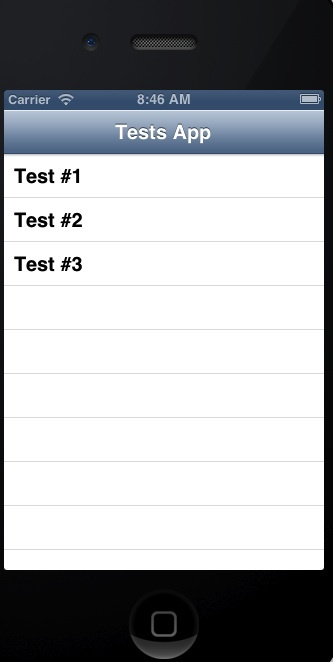 By implementing a table view, we will be able to select one of multiple tests all stored within the same app. We will also be implementing a navigation controller which will allow us to navigate from the test that we have selected back to the table view that lists all of the tests. We'll try doing this while minimizing the work that we have to do by reusing the test logic and screen that we created in the first section as well as the data of the one test. Bring up xcode and select File->New->Project. 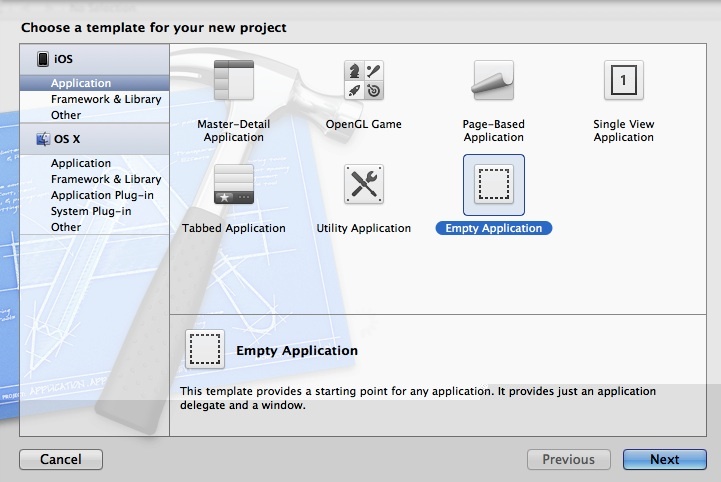 Select an iOS application and specify that you would like an Empty Application. We are able to section off how the tests will be displayed in the table view which is something we should keep in mind when we have more tests. For our current needs though will put all of our tests in one section by replacing numberOfSectionsInTableView and numberOfRowsInSection with the following in RootViewController.m. Create a View Controller to handle the test screen. We can save ourselves time by setting the name to be the same as that assigned for the original tests, i.e. test1. 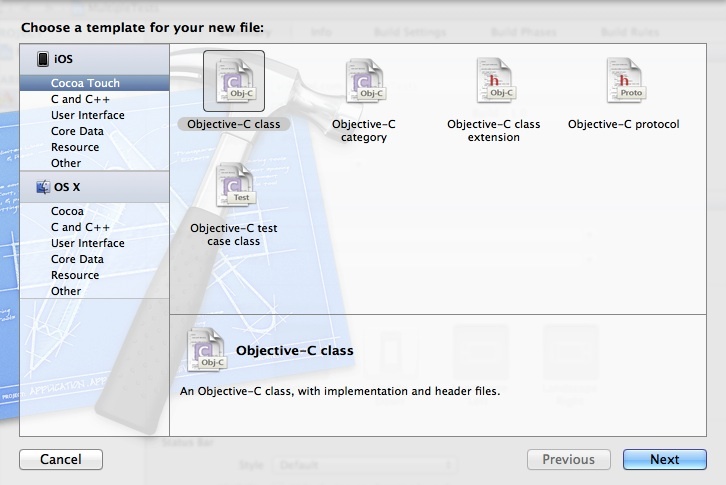 Right-click on the MultipleTests folder in the top left corner, select New File, select iOS Cocoa Touch, Objective C class. 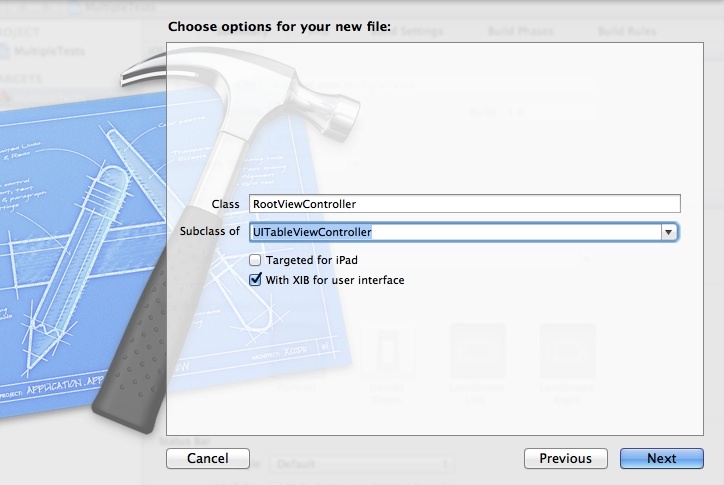 click Next, select Subclass of UIViewController, ensure that "with XIB for user interface" is checked, and name the class test1ViewController. At this stage, close xcode and replace the test1ViewController.h, test1ViewController.m, and test1ViewController.xib files at the OS level with the equivalents that you created in section 1. 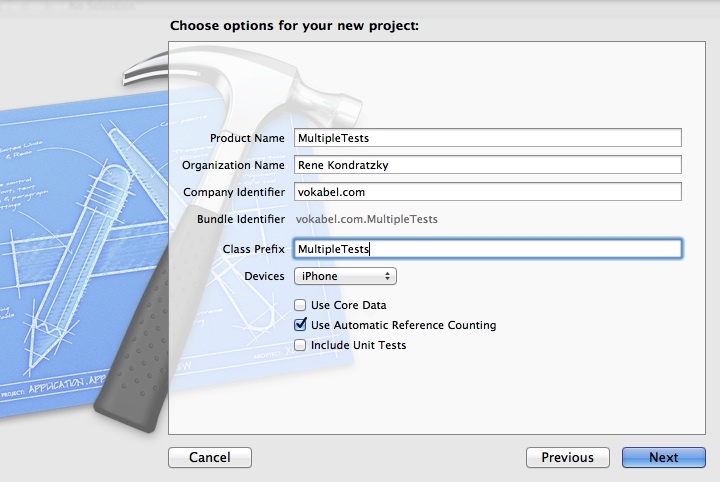 Restart xcode and open the MultipleTests project. Modify the RootViewController.h file so that it is aware of the new test1ViewController. Next, open RootViewController.m and process the Test choice that was selected and set the appropriate title of the view controller managing the tests. When the test is called, we have to load the correct property list of questions and answers so that we display the correct test. Because the test is now not controlled by the Main View COntroller and does not launch at start time we have to put the launch logic in viewWillAppear instead of viewDidLoad. The plist files required that contain the question and answer pairs will be called test1.plist, test2.plist and test3.plist. 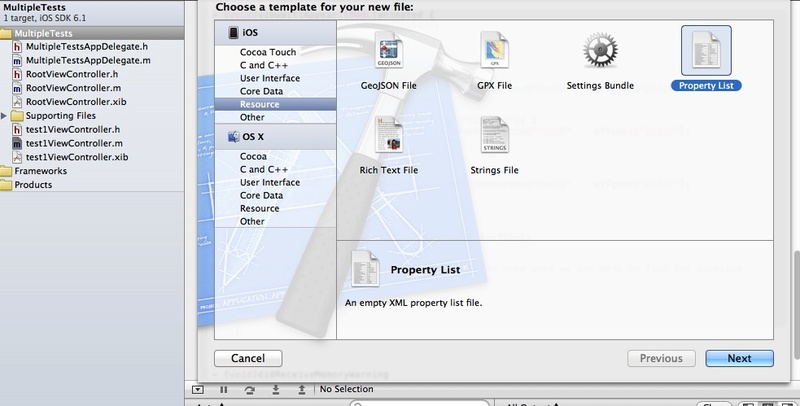 Create each plist file by selecting the MultipleTests folder, right clicking, selecting New File, selecting iOS resource and selecting property list. Name the files test1, test2, and test3. Close xcode and at the OS level modify the questions.plist file from the initial test and modify the questions and answers so that you have a unique file for test1.plist, test2.plist, and test3.plist. Copy them to replace the three plist files that you created in the previous step. You should now have a working application that allows you to access multiple tests from a Table View. To add additional tests, you would just have to add the new plist file for that test, add the new test entry in the didSelectRowAtIndexPath method in the RootViewController.m file, populate the testList array in the viewDidLoad method in RootViewController.m, and add the plist file to be loaded when your new choice is selected from the Table View.